A tall order for the taller sister. Can the meat-and-potatoes Wimbledon-queen summon her past success as a leaner and greener player? Older sister Venus, who’s claimed five titles at the All England Club, is having a health scare of her own after being diagnosed with Sjogren’s Syndrome, an autoimmune disease, which can lead to damage of the body’s vital organs. The illness forced her drop out of the US Open this year and has pushed meat out of her diet. Times are changing for the superstar, who said last year that she “eats to live and not lives to eat.” She continued talking foodie favorites, saying that she considered “beans and rice and blackened chicken” a top meal choice. This recalls the gourmet changes for 2011 ATP success stories Novak Djokovic, who’s claimed three major titles this year, and Andy Murray, who went on a 17-match winning spree after the US Open. Murray aside, Venus’ newfound form and fitness will no doubt have fans worldwide salivating for a dominating force in an otherwise floundering WTA. Petra Kvitova, 21, the current world No. 2 and winner of Wimbledon and the Season Ending Championships, might be the answer. She’s still, however, young and half-baked in terms of talent and poise. 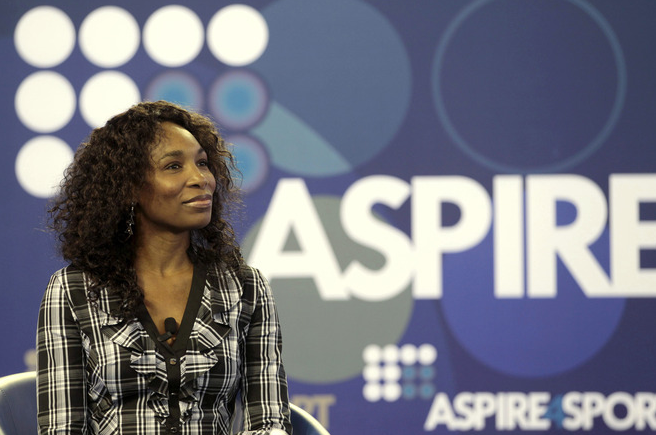 It’s time for Venus to turn up the burners and bring back the motivation for which she’s known. Currently ranked No. 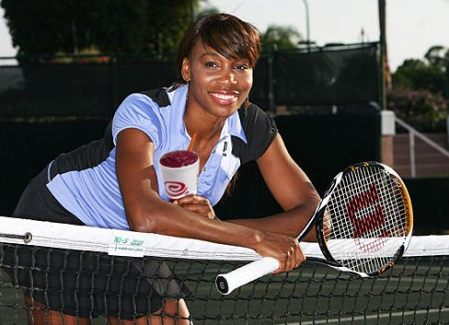 103, having only played a handful of tournaments this year, Venus quickly doused rumors of retirement. With Venus back in-shape and on form, the alarm bells should be sounding for the rest of the women’s tour. It’ll be tough to get out of the fire and back into the figurative frying pan that is professional tennis at her ripe age of 31. But if anyone can come back from adversity and succeed, it’s a Williams. Here’s one way Venus shocking revelation spread in London. Over and out: Just a day before main draw play was set to get started at the Rogers Cup in Toronto, Venus Williams pulled out of the WTA event. While the tournament suffers — as has San Diego and other events this year — Venus doesn’t take much of a hit on her pull out. Sure, there might be an appearance fee that goes unpaid, but is that much to Miss V? Not really. So that has us curious: Should players owe more than just their apologies when pulling out of tournaments last minute? Weigh in on this question in the comments section. And about that lace jumpsuit with gold trim (Golden Girls meets Project Runway? ): le sigh. On TV, the shorts seemed a little too billowy, especially since we’ve seen how Venus can rock a cute pair of hot pants on the Wimbledon lawns. 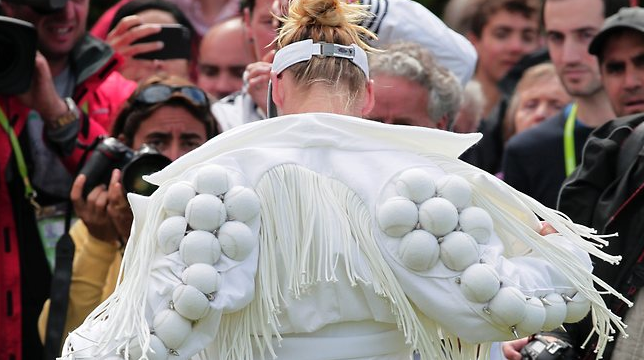 The gold-zippered top flopped in awkward ways as she hit her groundstrokes. The sleeves seemed as though they were missing whole panels. Suprisingly, it all seemed to come together in the photos snapped during the match (see below). Just a good photographer? Maybe we were glancing up at the TV at the wrong time? Anyway, it doesn’t matter, since no one can buy this stuff. Picture worth a thousand words, but zero dollars in revenue. Venus has pulled out of Miami. Serena will return in … October? 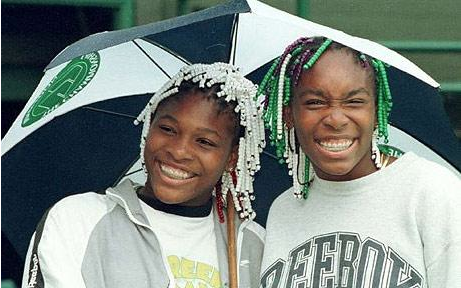 What is to come of the Lady Williamses? Another brand of March Madness is upon us: With the unisex goodness that is the BNP Paribas Open at Indian Wells tournament, the 2011 pro tennis campaign kick-starts into high gear. This 1-2 punch of Cali and Miami makes for a full month of top-notch tennis. Indeed, spring’s done sprung. Now a curious trend seeped into tennis again in 2010: jumpy observers of the sport seeking to retire players -– good, even great stars who reaped some solid results -– before they themselves are ready to hang up their racquets. The guilty parties: too many tennis writers and other observers and “personalities” involved to various degrees. Their victims? Among them, Andy Roddick, Venus Williams, and even Roger Federer, proving that not a single star is exempt from these hasty calls to exit. But Roddick won Memphis last month, dousing the ballyhooed, raging fire that is young Milos Raonic and coming up with possibly the best championship-point winner ever. He also ignited his fellow Americans’ effort on the Chilean clay in Davis Cup, punctuating his clinching win with a scissor kick (Video: here) that would make Sally O’Malley salivate. 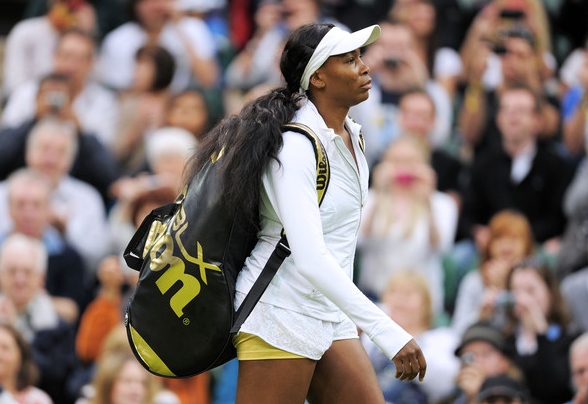 Too many quickly forgot that Venus seized some early 2010 titles and vaulted to no. 2 in the world before injuries in part derailed both her autumnal and 2011 Aussie exploits. (Oddly, she’s now singing 311 karaoke on a MIA-to-Turks cruiseship and showing off some fly dance moves for someone with chronic knee issues.). Fed himself ran the table at the London year-end championships in December, outdoing even Rafael Nadal in the final, and snagged an early 2011 title before a taking-all-comers Novak Djokovic rolled over him in Melbourne. Still, retirement happens. It’s inevitable. Justine Henin’s departure has itself turned into a piece of music with multiple movements, the strings swelling and falling at different points. Henin has been like that lover who breaks it off and then loiters for attention: Mercy. And merci. All of the brouhaha catalyzed a thought: Who or what in the sport truly needs to go? Without further ado, a few items –- persons, peccadillos, and other pesky minutiae –- that best get gone. Now. Conversely, some other talents and trends are welcome to get comfy. So there it is: Stay, or Go. GO: Foremost, let’s be done with the freak injuries. Some stars are making the maladies on TV hospital dramas seem realistic: Victoria Azarenka scarily passed out on court after bopping her head during a warm-up run, and then Anna Chakvetadze did her best Vika impression. Meanwhile Andy Murray strained his hand by playing video games excessively (okay, that one proved a fib). It seems a few players just need to be grounded. Granted, Serena’s recent pulmonary embolism/hematoma scare is more than legit. Anyone who relishes compelling tennis, even if no fan of hers, whether onlooker or media, can only hope she makes it back into the mix again. Tennis needs her fight and her bite. 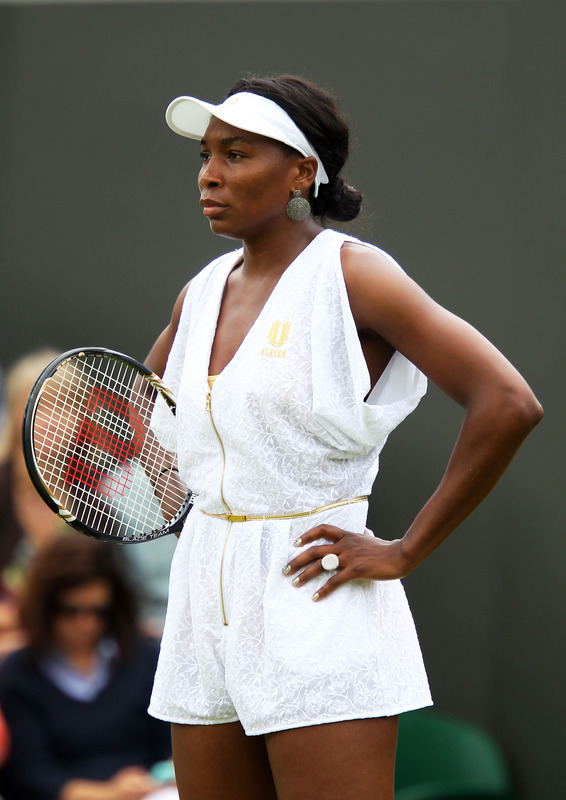 Not every player needs to be Mama Kim Clijsters, portrait of civility. Speaking of, GO: Can we just be done with all the talk about Clijsters’ motherhood? Cute turned to precious in a hurry there, and not in a good way. GO: That hand-strain hoax aside, Murray might want to consider tempering his video gaming: Girlfriend Kim Sears reportedly already broke up with him once over the habit. Word to the wise, young gun: the lady has you on watch. Judy Murray, we heart thee. GO. STAY. Good dog: Not to pick on the Murray familia too much (see below), but what of these tweets from the family’s resident cur, this Maggie? So let it be written, so let it be done: No more Murray mutt tweets, at least not until Andy bags that virgin Major. 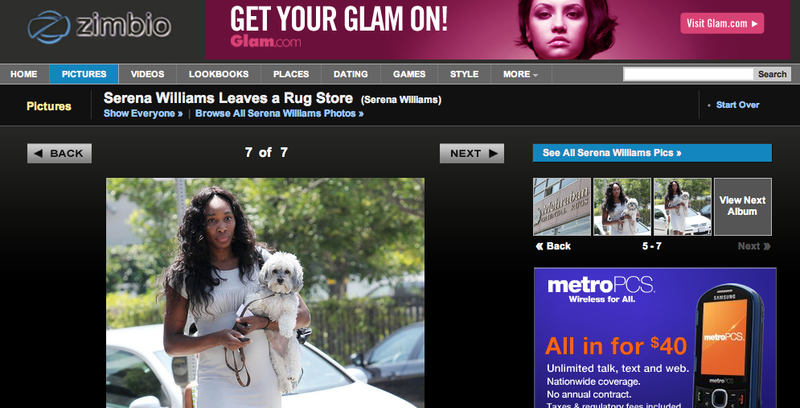 It’s no less lame to put your pet on Twitter than it is to fashion a Facebook profile for it. 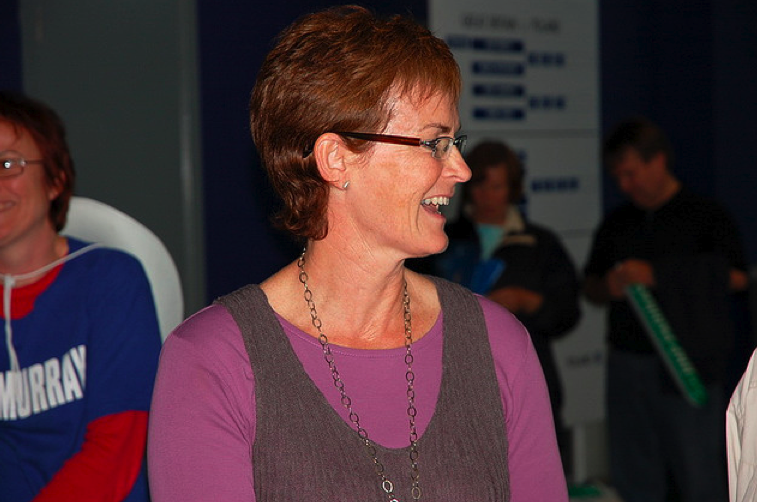 STAY: Judy Murray, British tennis coach and mom to Andy and Jamie. Yes, she advises her son. She also isn’t afraid to shoot a witty retort at a former player who yaps about her spawn’s chances at winning big with her on board. GO: Boris Becker. Just let it be, Boorish. 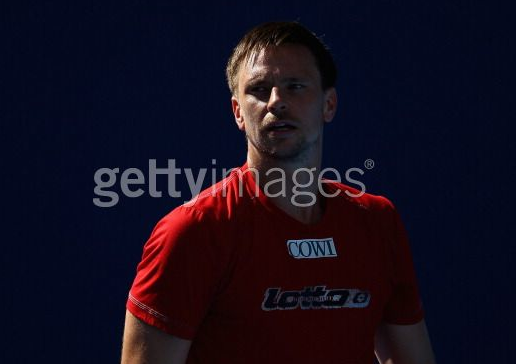 You were a fine player, a flame-maned, serve-and-volley stud on grass. Then you knocked Murray and his mum for his underperforming at Slams, chiding him for his closeness to Judy and (good grief!) for standing by his girl at age 23. So a former player cheats on his pregnant wife with a Russian model (in a closet), resulting in a lust child, and then doles out unsolicited relational advice? Laughable. Not content to merely stand by his statements from the fall, BB waxed on again after Murray’s mopey, one-sided loss to Nole in the Aussie final. Sigh. Everyone’s a Carillo. Click to read more, kids. You don’t want to miss these musings. 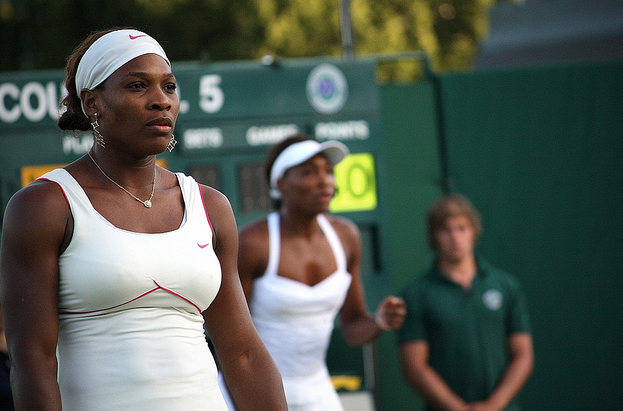 Remember those ridiculous Oreo ads that Venus – along with other athletes – are apart of? 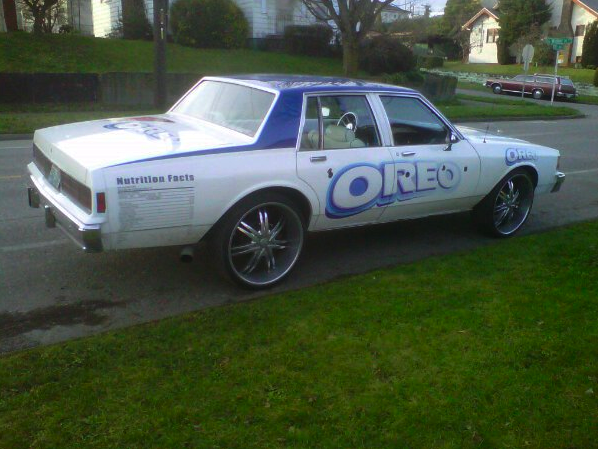 Well looks like they get picked up to go to the studio in this ride, Nutrition Facts and all. And the glove box is stuffed… with Double Stufed Oreos. sunday survey: week 1’s wackiest? 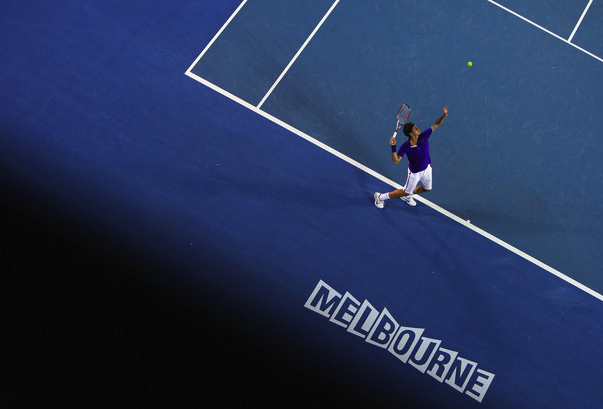 Week one of the Australian Open is over and done with: seven days of play down, seven to go. But there were seven instances out of the tennis norm that caught our eye, and we’re wondering for today’s Sunday Survey: which moment was the wackiest? Choose in the survey below. And if you’re not sure what we’re referencing, check out videos on each occurrence after the jump. Is Venus Williams playing for the country of Argentina for this Australian Open? Sure looks to be the case. Roger Federer has had his turn on the couch for Wilson, but this time it’s Venus doing the counseling on the new Blade BLX racquet. 2010 has been a pretty good year for the tennis literary community (if you can even call it a “community”). There was an as-always this-is-what-my-tennis-life was (and is!) 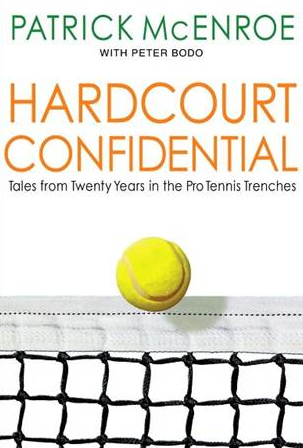 book in Patrick McEnroe’s Hardcourt Confidential, while Venus Williams put out a best-selling business book called Come To Win. Right, we said business book. We give you a few other selections that might fit well as fit-in-your-suitcase take-home gifts this holiday season.